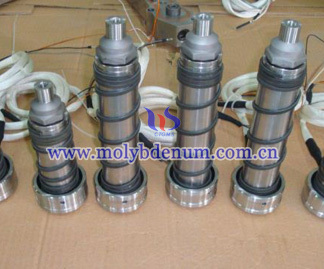 TZM, also name TZM alloy, is shorted from Titanium Zirconium Molybdenum, which is alloyed molybdenum. TZM alloy owns properties of high recrystallization temperature, high strength, hardness and good ductility at room and elevated temperatures. 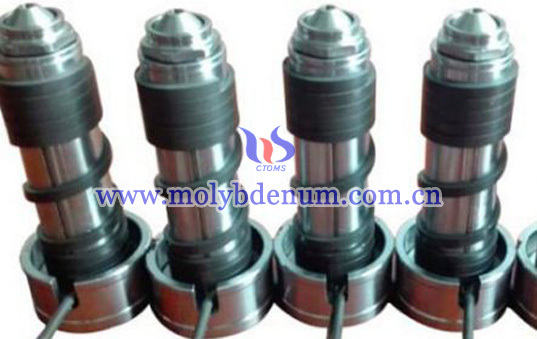 Compared with unalloyed molybdenum, TZM performs better in the above properties. In addition, TZM has got good thermal conductivity, low vapor pressure, good corrosion resistance and good machine-ability. If considering the cost of machining molybdenum and TZM, TZM alloy costs approximately 25% more than pure molybdenum and costs only about 5-10% more to machine. Meanwhile, it is widely used as rocket nozzles, furnace structural components, and forging dies. As for the high machine-ability, TZM material can be machined with hole, screw, thread, etc, much more easily. Rod, bar, needle, pin, nozzle are the much easier shapes for the material. Hot running system is applied the high temperature, normally 400℃ or similar to melt metals, plastics, or other material into liquid, then put them into container, and use nozzle to inject the liquid into mold and finally finish the mold products, such as mobile phone shell, call lip or any other else. This method now is widely used in making plastic shells in appliances, such as Iphone shell, Samsung phone shell, TV shell, car shell or any other material needed plastic, metals. Hot runner nozzle is the main part of hot running system, which is applied for injecting the liquid of plastic and metals. TZM is the ideal material for making hot runner nozzle for hot running system for its good performance.